During our last day in Yokosuka we got a ride to Kamakura. This area has temples everywhere. 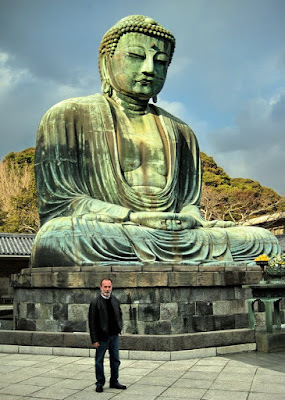 The main reason for going was to see the Great Buddha. 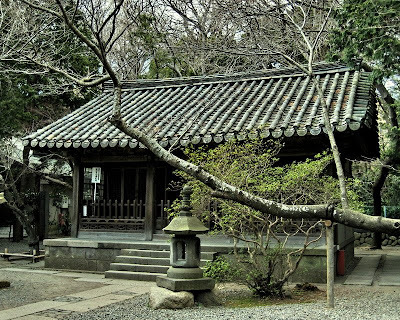 It is on the Kotokuin Temple grounds and was cast in 1252. 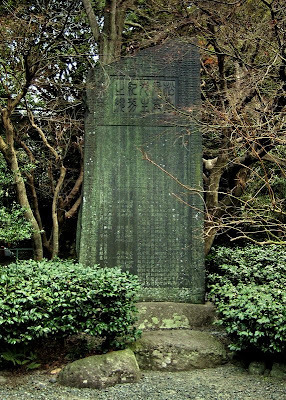 It is 13.35 meters high, almost 44 feet. 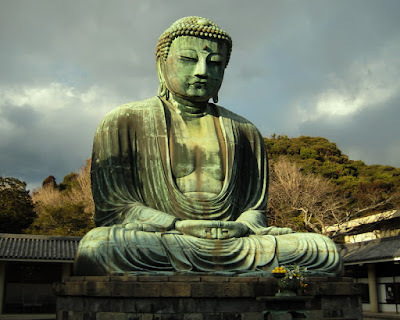 The Buddha was originally in a large temple that was washed away by a tsunami in the 15th century. 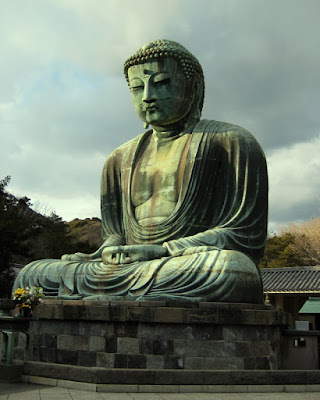 This Buddha is huge, the second largest in Japan. Here I am standing in front of it. Here are a couple more pictures from the temple grounds. We did go see another temple while we were there. I'll be posting those pictures soon.